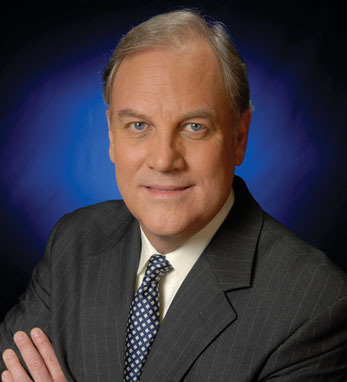 Gene McHugh, VP/General Manager of WAGA/Fox5 Atlanta, one of the nation’s highest-rated Fox Affiliates, has been with Fox since November 1993. A graduate of the University of Missouri School of Journalism, Gene worked various advertising and broadcasting positions in Missouri, New York City, Chicago, Washington, DC, and Atlanta before joining Fox. Actively involved in community projects, Gene serves on the Atlanta Ronald McDonald House’s Executive Committee Board of Directors, is a board member of the Georgia Association of Broadcasters, USMC-R Toys For Tots Atlanta Campaign, and the Atlanta St. Patrick’s Day Foundation. A second-generation Irish-American, Gene’s roots are in County Roscommon. His grandfather Michael McHugh arrived at Ellis Island on April, 15, 1897. Gene says it was “Irish luck” that he married Deborah Ann Vivod. The couple has three grown children, Erin, Megan and Michael, and two grandchildren, Tommy Wood and Phoebe Eddings.